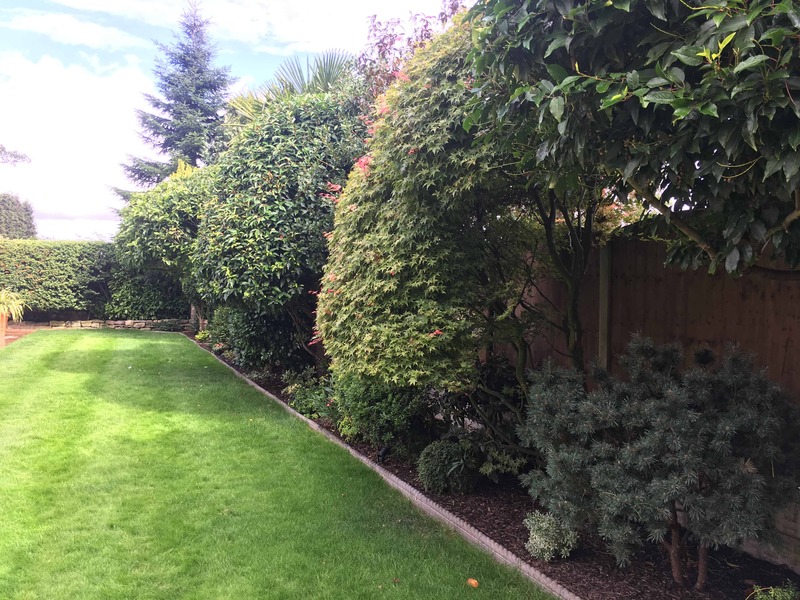 Any tree will help to screen an eyesore behind it, or give a bit of privacy. 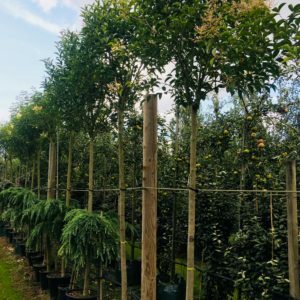 We offer a wide selection of Evergreen trees, usually with a stem of 1.8-2m. 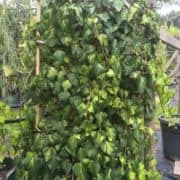 These can be used as a ‘high’ hedge or ‘hedge on stilts’ which is perfect if you want to screen above a fence or wall. Photinia red robin, Privet, Holly, Evergreen Oak and Laurel all make superb Evergreen screening trees. 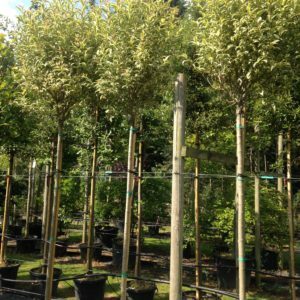 A more formal alternative is Pleached trees. 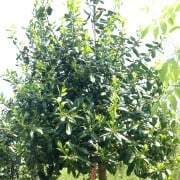 They take up little room, where space is at a premium and form a good barrier in summer and winter. 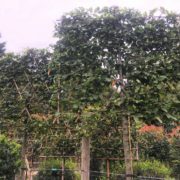 The most popular pleached trees we offer are Hornbeam, Lime, Holly and Photinia but the list is endless…We have some stunning Pleached Laburnum and Whitebeam currently in stock. We can also make any pleaches for you. 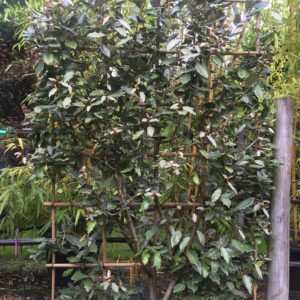 Prunus laurocerasus: Common laurel, Cherry laurel. We have excellent laurels to make a high screen. 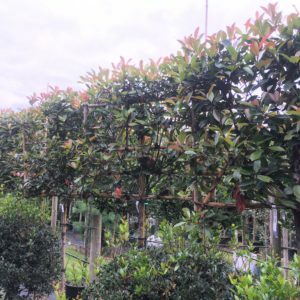 Photinia red robin pleached: A popular and versatile plant, Photinia red robin can be used as a pleached tree, standard or half standard, mature shrub or hedging. Carpinus Betulus pleached: Common hornbeam. 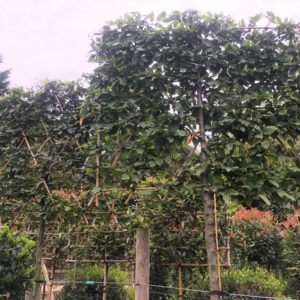 One of the best and most popular pleached trees. It also makes a very good hedge which is easy to grow and not particular about soil type. 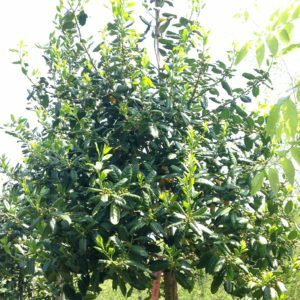 Prunus lusitanica: Portuguese laurel. 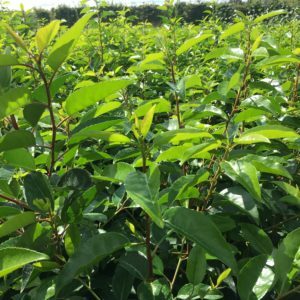 One of the best hedging plants. We grow superb standard trees which will make one of the best high hedges. Ligustrum ex Superbum: Privet. 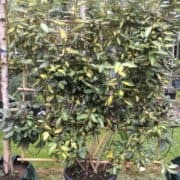 We stock both Green and Gold evergreen Privet as standard trees. We also supply Green Privet as pleached trees. Ilex aquifolium Argentea Marginata: Broad leaved silver holly. A handsome female selection with white leaf margins and plenty of bright berries. Hollies are remarkably tolerant of a range of light or shady positions, polluted air or soil types. 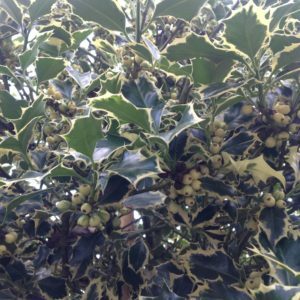 Ilex: Holly. 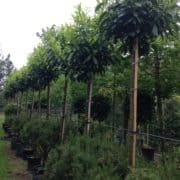 We can supply as pleached or standard. 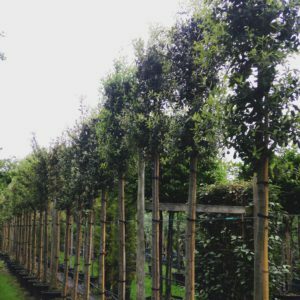 Quercus ilex: Evergreen oak. 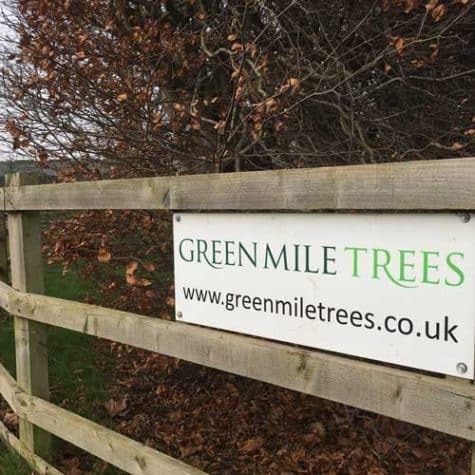 Normally supplied as standard trees. In later life they are wonderful trees, full of character. 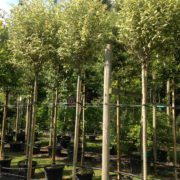 They respond well to clipping and can be trimmed to cylinder or box shapes for a formal look.